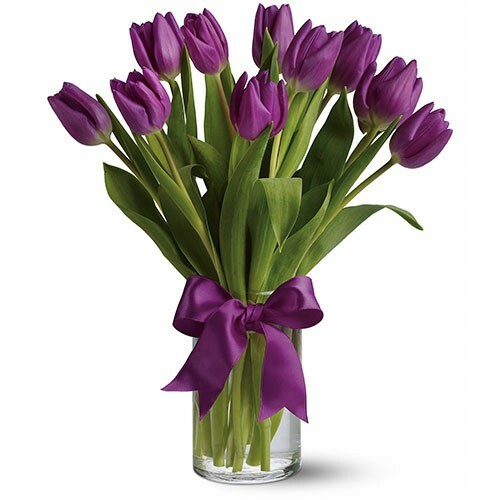 This bunch of 10 Purple tulips in a glass vase with ribbon bow, symbolizes grace, thoughtfulness and admiration for the person you are sending this bouquet to. Send this elegant gift on Mother's Day, for Birthday, or any other occasion as an amazing way to make them feel special. Note: Tulips are seasonal and mostly available during early Spring time only.